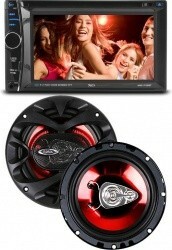 Walmart.com has the Pioneer DXT-S4069BT CD Receiver with 4-Piece Speaker Package & 3 Months Pandora for $84.99. Free shipping is also included with this deal. Amazon has the Sony XAV-AX100 6.4" Receiver w/ CarPlay, Android Auto for $299.87. You will also get free shipping on this item. VM Innovations via eBay has the Sony DSX-A415BT Digital Media Receiver with Bluetooth & Satellite for $78.40 after 20% off coupon code PRIMO. This item also currently includes free shipping. VM Innovations via eBay has the Sony DSX-A415BT Digital Media Receiver with Bluetooth & Satellite for $78.40 after 20% off coupon code PARTYINUSA. This item also currently includes free shipping. eBay has the Pioneer Double-DIN Digital Media Receiver with Bluetooth for $71.91 after 10% off code PERFECT10. Free shipping is also included with this deal. Walmart.com has the Pioneer CD Receiver with Speaker Package & 3 Months Pandora for $81.44. This item also currently includes free shipping. VM Innovations via eBay has the Sony DSX-A415BT Digital Media Receiver with Bluetooth & Satellite for $83.40 after 15% off code PMEMDAY. This item also currently includes free shipping. 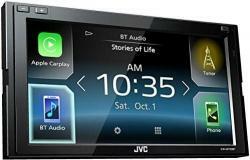 Amazon.com has the JVC KW-M730BT 6.8" Vehicle Receiver w/ Android, Apple CarPlay for $279.25. You will also get free shipping on this item. Walmart.com has the Pioneer CD Receiver with Speaker Package & 3 Months Pandora for $81.11. This item also currently includes free shipping. VM Innovations via eBay has the Kenwood Double-DIN Digital Media Receiver w/ CarPlay, Android Auto for $299.95 after code PRETTYDAY. You will also get free shipping on this item. In addition, you'll earn eBay Bucks to use on a future eBay purchase. VM Innovations via eBay has the Sony DSX-A415BT Digital Media Receiver with Bluetooth & Satellite for $78.40 after 20% off code PRETTYDAY. This item also currently includes free shipping. 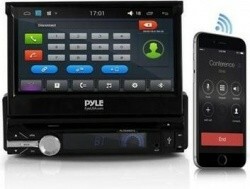 Groupon has the Pyle Single-DIN Android Receiver with GPS, CD/DVD, WiFi, Bluetooth for $96.99. You will also get free shipping on this item. Save $300 today only! BestBuy.com has the JVC KW-V830BT 6.8" Vehicle Receiver w/ Android, Apple CarPlay for $299.99. This item also currently includes free shipping. Walmart.com has the Pioneer CD Receiver with Speaker Package & 3 Months Pandora for $79.99. This item also currently includes free shipping. eBay has the Pioneer Double-DIN Digital Media Receiver with Bluetooth for $94.72. Free shipping is also included with this deal. Walmart.com has the Pioneer DXT-S4069BT CD Receiver with 4-Piece Speaker Package & 3 Months Pandora for $79.99. Free shipping is also included with this deal. Amazon.com has the JVC KW-M730BT 6.8" Vehicle Receiver w/ Android, Apple CarPlay for $297.99. Free shipping is also included with this deal. Walmart.com has the Pioneer Bluetooth CD Receiver with Speaker Package & 3 Months Pandora for $89.99. Free shipping is also included with this deal. 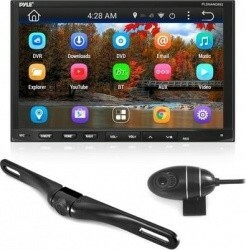 Walmart.com has the XO Vusuib 6.2" Bluetooth Touchscreen DVD Receiver & 2 Speakers for $107.26. This item also currently includes free shipping. Save $80! BestBuy.com has the Alpine Bluetooth CD Receiver with Satellite Radio Tuner for $129.99. This item also currently includes free shipping. Groupon has the Android Stereo Receiver & Dual Camera System, 2 Models for $139.99 or $269.99 depending on moddel. You will also get free shipping on this item. 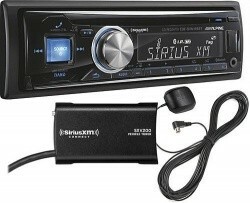 BestBuy.com has the Alpine Bluetooth CD Receiver with Satellite Radio Tuner for $109.99. This item also currently includes free shipping. 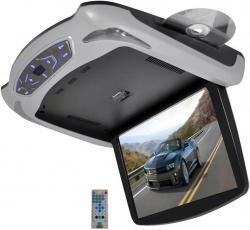 VM Innovations via eBay has the Boss 10.1" Flip-Down LCD Monitor with Remote, Headphones for $174.99. Free shipping is also included with this deal. 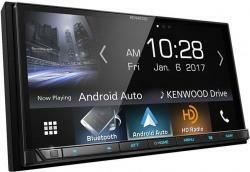 VM Innovations via eBay has the Sony XAV-V630BT 6.2" Touchscreen Receiver w/ Bluetooth for $248. You will also get free shipping on this item. Walmart.com has the Pioneer Bluetooth CD Receiver with Speaker Package for $79.00. This item also currently includes free shipping. $40 off today only! Best Buy via eBay has the Kenwood CD Bluetooth iPod-Ready Receiver for $79.99. Also, free shipping is included with this deal. Walmart.com has the Pioneer Bluetooth CD Receiver with Speaker Package for $79.00. You will also get free shipping on this item. Amazon.com has the iClever Himbox HB01 Bluetooth 4.0 Hands-Free Car Kit for $19.99 after coupon code WEZHUZLG. Free shipping with Amazon Prime. Don't have Prime? 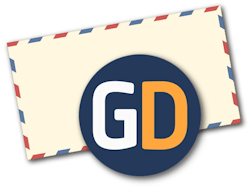 Get a free 30-day trial, otherwise get free shipping on $49 or more. 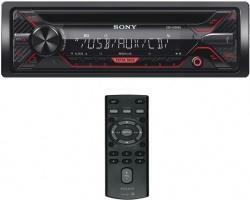 VM Innovations via eBay has the Sony CD-XG1200 In-Dash 55W CD Player Receiver with USB for $84.95. You will also get free shipping on this item. 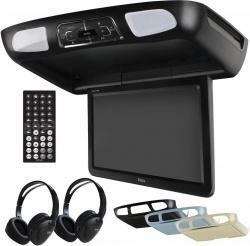 Walmart.com has the Pyle 13.3" Roof Mount LCD Monitor with DVD Player, USB, SD & More for $179.98. You will also get free shipping on this item. 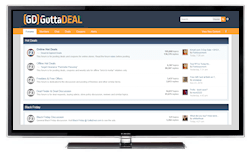 Walmart.com has the RCA 7" Dual Screen DVD Player & Video Player for iPod & iPhone for $95.00. Free shipping is also included with this deal. Save $57 today only! Best Buy via eBay has the Kenwood CD Bluetooth iPod & Satellite Radio Ready Receiver for $83.99. Also, free shipping is included with this deal. 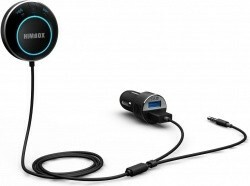 Walmart.com has the Pioneer Car Audio Package with Bluetooth Receiver, Speakers, More for $89.97. You will also get free shipping on this item. 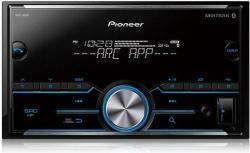 Best Buy via eBay has the Pioneer In-Dash Bluetooth Receiver with USB, iPod Inputs for $69.99. This item also currently includes free shipping. Walmart.com has the Pioneer Car Audio Package with Bluetooth Receiver, Speakers, More for $89.97. Also, free shipping is included with this deal. 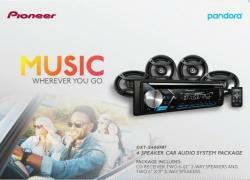 Walmart.com has the Pioneer Car Audio Package with Bluetooth Receiver, Speakers, More for $99.97. You will also get free shipping on this item. Walmart.com has the Pioneer Bluetooth CD Receiver with 4 Speakers & Remote for $99.97. This item also currently includes free shipping. 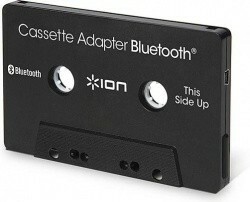 ThinkGeek has the Ion Audio Cassette Adapter with Bluetooth for Older Vehicles for $19.99. Most orders over $75 which do not use a promo code include free shipping. 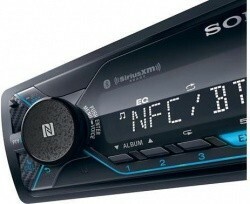 Sonic Electronix via eBay has the Sony XSP-N1BT Bluetooth CD Receiver with Phone Cradle for $99.99. You will also get free shipping on this item.